Quirien van Unen, a graduate of TEFL in Spain, did the TEFL course at TEFL in Spain last February. 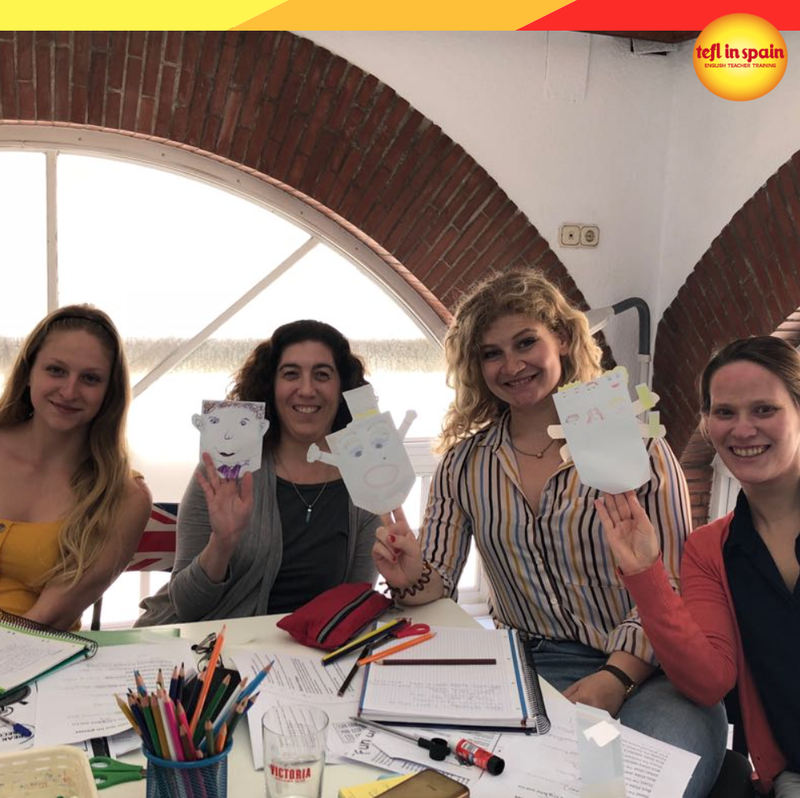 While she is currently working as an English teacher at Malaga Lenguas, she has ambitious plans to use her Trinity CertTESOL as a passport to travel! Curious as we are, we held an interview to see how she is handling the teaching world. What were you doing before your TEFL Course? Before the TEFL in Spain course, I was a marketing student in Groningen. Even though I have always been interested in the English language, I have never done anything relating to using my language skills as a teacher. What made you decide to take the TEFL Course in Malaga, Spain? I came across the TEFL course provided by TEFL in Spain when I was looking for an opportunity to work abroad. I love Spain and its culture and when I read about the possibilities offered by the Trinity CertTESOL, I was immediately hooked. I choose TEFL in Spain especially because of its highly praising testimonials on the website. What did you enjoy most on the TEFL Course? I loved every part of it! From the unknown language workshop to the observed teaching practice, it was all great! What I didn’t expect though, was the personal competencies I developed during the course. The course doesn’t just challenge you as a teacher, but also as a person. Together with my fellow trainees, I learned a lot about my persistence and devotion skills. I also didn’t expect that I would love teaching this much. I can promise you, you will be a changed person by the time you finish the course! What have you been doing since gaining your TEFL qualification? I have continued to teach English in Malaga. Nowadays I teach young learners one-on-one and adult group classes at the academy. I have also completed all the teacher development courses offered by TEFL in Spain, including Business English, Grammar and Phonology, Young Learners and Cambridge Exam Classes. Even though I especially recommend Business English and Grammar and Phonology, I valued every one of them. They all contributed to my expertise from a different aspect of teaching and supported me in my career. Four months after the course I still love teaching just as much as I did from the start. At the start of the summer school holiday, I will return to the Netherlands. I am interested in starting to work for myself during this period. I want to acquire a network near home and teach private classes. However, my long-term plans are to use my Trinity CertTESOL as a way to travel the world. I want to start doing this in Asia but eventually work my way around the globe. The benefit of acquiring the Trinity CertTESOL is that it is worldwide recognised. All your employers will immediately know your level of expertise and you will have a huge advantage over teachers who have done an unaccredited tefl course. The training the TEFL in Spain tutors provide you make you well prepared to handle any teaching situation. Personally, I had Megan Wummer as my tutor and owe her special thanks for the thorough guidance in the course. How has gaining your TEFL qualification changed your life? It definitely has changed my life in a major way! In a way, it is like jumping in the deep. You don’t know what you can expect, how it will turn out and it can be a bit scary to make the decision. However, once you have decided to go for it, it is like you have found this new passion you give your 100% for. It is impossible to start a career in teaching without loving the teaching or the possibilities it creates. The satisfaction of delivering a good lesson and the relationship you build with your students is better than you can ever imagine. The skills you acquire in the Trinity CertTESOL go beyond teaching as well. You learn about management, presenting, planning and educating, all of which are useful in any kind of work field. 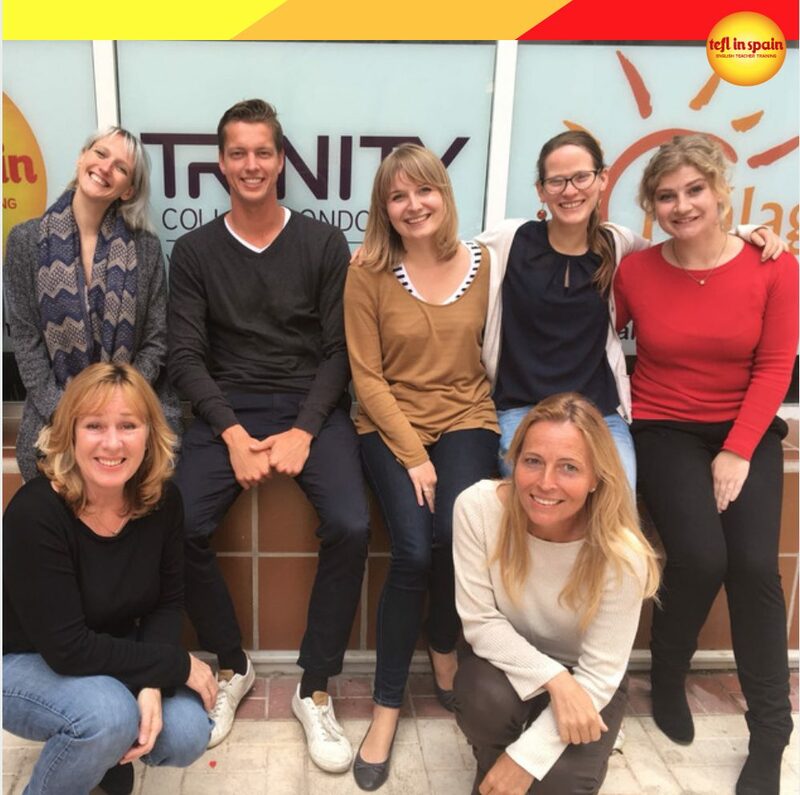 If you want a passport to work abroad, undergo a career change or just love teaching, I would definitely recommend the Trinity CertTESOL at TEFL in Spain!